Welcome! As you can probably tell, we&apos;re all about color, contrast, texture and lushness. Please feel free to peruse our website to see if you think our talents can be used to create the environment you are looking to surround yourself with. 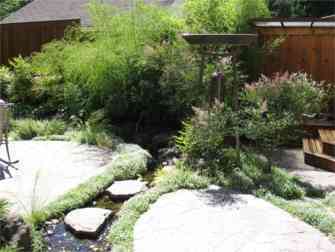 We at Creative Landscape Designs see our job as one that gets you excited about your yard and all that goes into it. We start with an on-site visit and interview to see what your lifestyle and tastes are and what you want to ultimately end up with. Included in all designs are visits to local nurseries. We will show you options that will give you the yard of your dreams. We will then work you, with contractors, or a combination of both to convert your dreams to reality! We look forward to working with you on your next residential or commercial landscape design. © 2009-2017 Creative Landscape Designs, Portland, OR. All Rights Reserved.